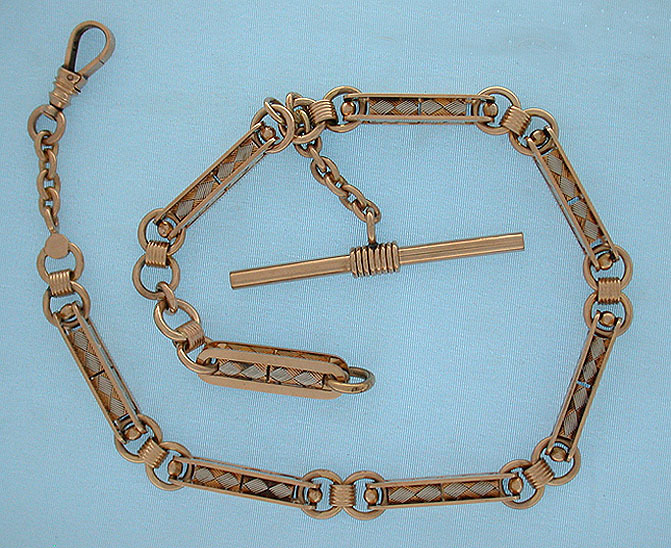 Fine heavy and unusual 2-tone 14K gold antique pocket watch chain circa 1890. 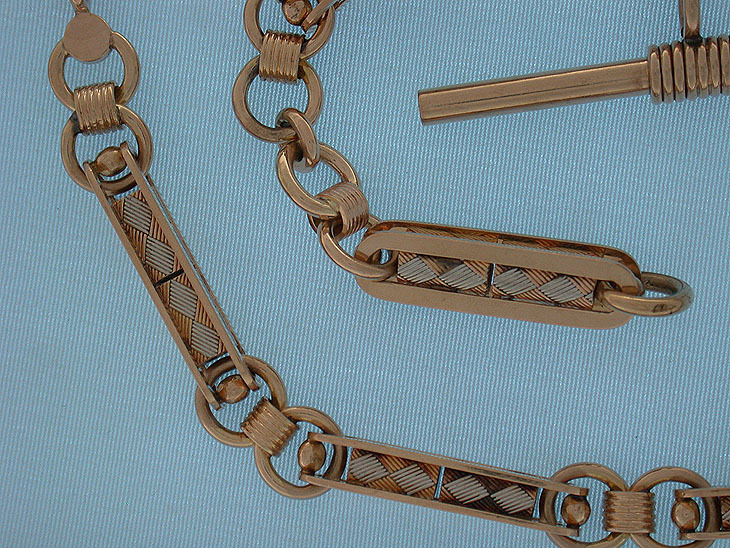 Fancy links in two colors of gold. Weight 40.4 dwt.